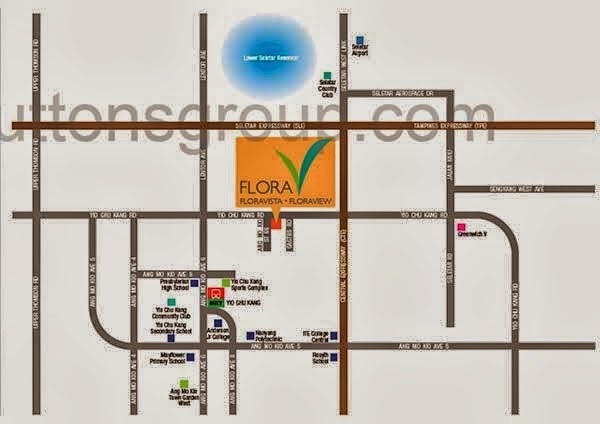 Floravista & Floraview is an extraordinary property development that is strategically situated at Ang Mo Hio Street 66, Singapore District 28. It is ideally structured by the renowned Oxley YCK Pte Ltd to provide you maximum convenience and luxurious accommodation. This promising property is well surrounded with nature's beauty. You can spend leisure walks at the luscious Seletar Garden Park which is just a minutes away. The water features of the great Lower Seletar Reservoir will make you marvel with much amazement. Shopping and dining becomes a luxury because they are just within your reach. Yio Chu Kang MRT and Lentor MRT are also within proximity and will take you where you want to be. Ang Mo Hio Hub, myVillage, Fernvale Point and the Greenwish V are just among the many destinations you could choose to wander. Prestigious schools and universities are also just nearby to serve you with the best quality of learning development such as the Chatsworth International School, Presbyterian High School, Mayflower Primary and a lot more! You need not go further just to experience the luxury and convenience of modern living. The best of contemporary settlement is just here are Floravista @ Floraview! View Floravista & Floraview brochure or Floor Plans for a feel of this development. Floravista & Floraview showflat is available for preview by appointment.